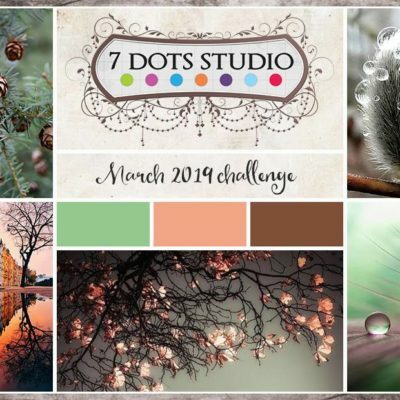 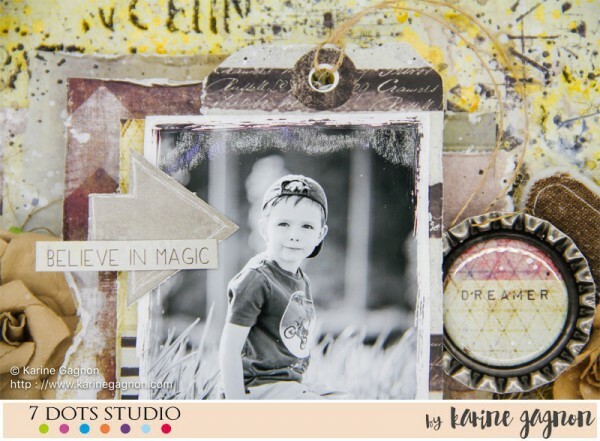 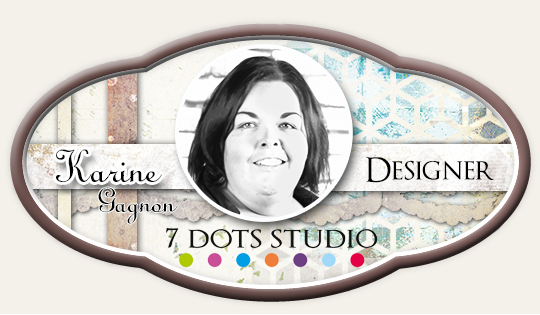 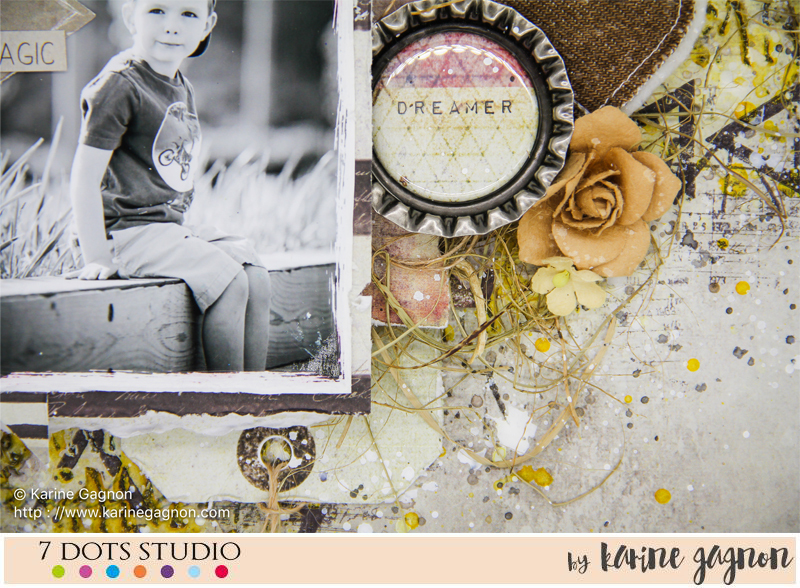 I’m here today to share a layout I created for 7 Dots Studio. 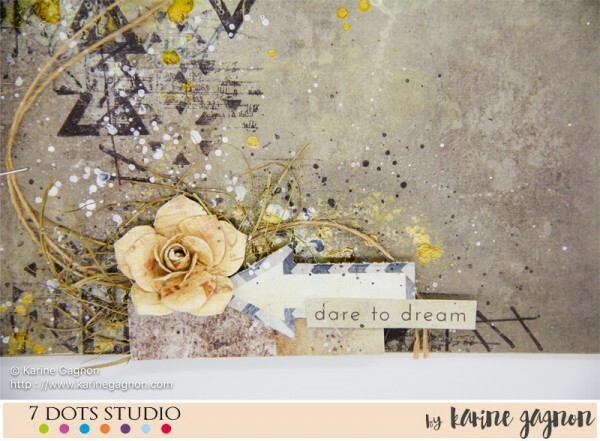 I started with the Dreamscapes 9mm 12×12 paper. 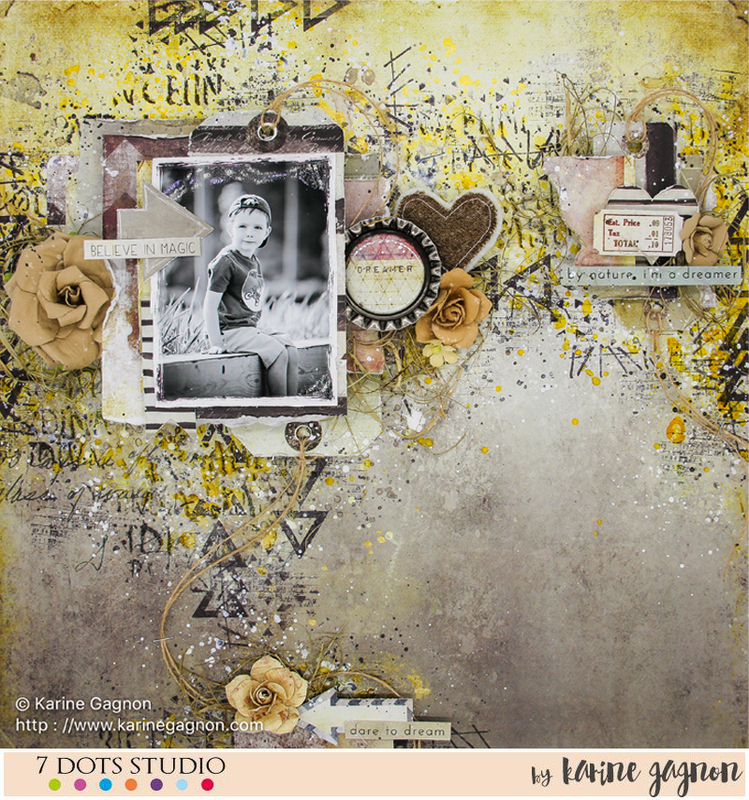 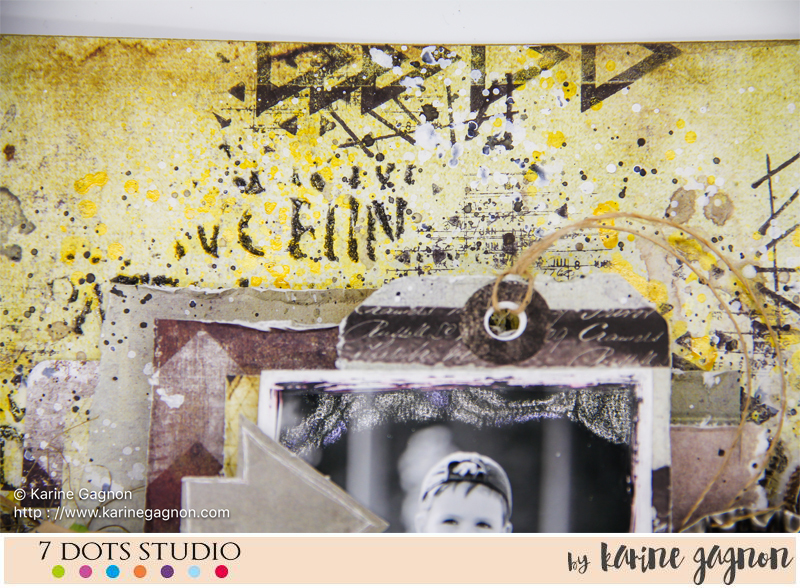 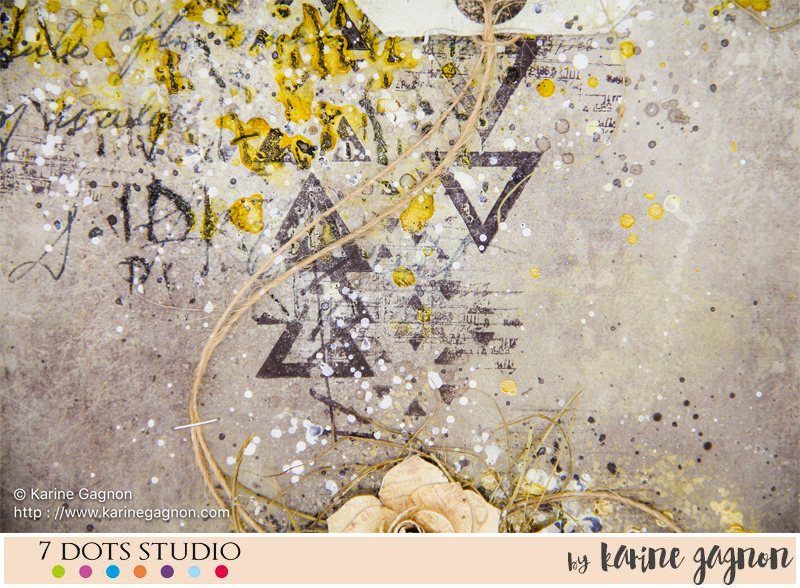 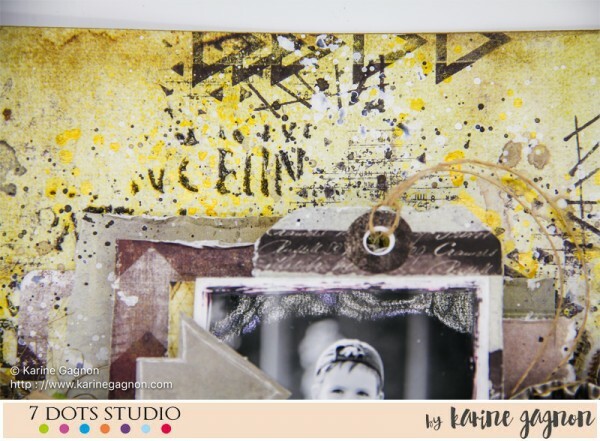 On it, I created a mixed media background using inks, pastes and sprays. 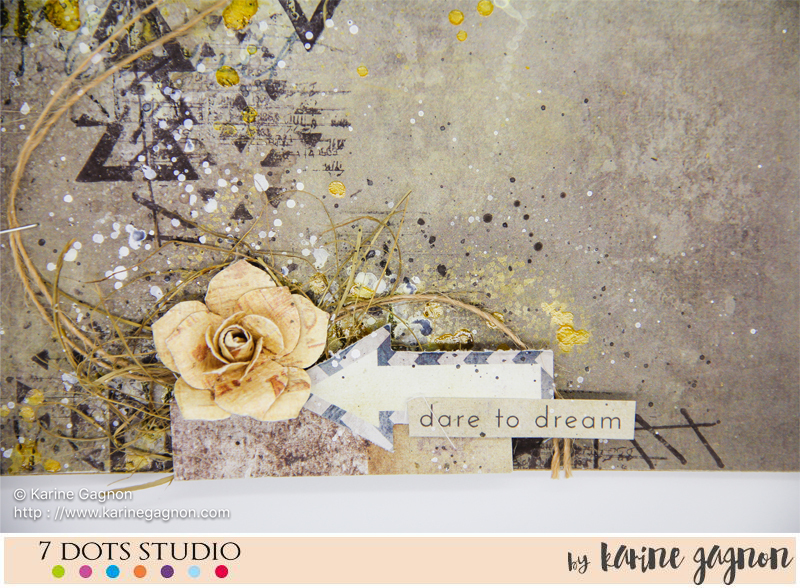 I also used the Hazy Days Clear Stamps, the Dreamscapes Clear Stamps and the Thoughts Keeper Clear Stamps with black ink. For my paper cluster, I used papers from the Dreamscapes 6×6 Pad and tags from the Dreamscapes 12×12 Tags. To embellish my layout, I used the Dreamscapes 6×12 Word Stickers, the Dreamscapes Die-cut Elements 6×12 and the Dreamscapes Element Stickers 6×12. 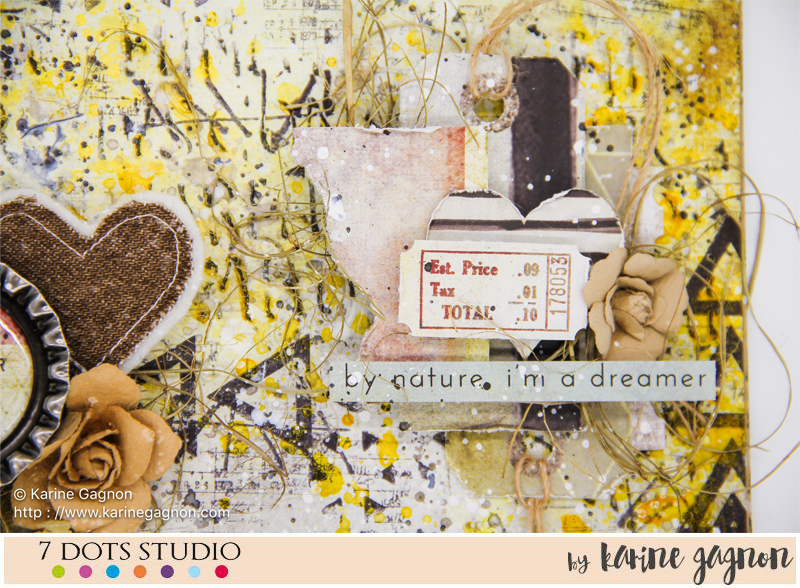 I also used a few flowers and one of the UmWowStudio Dreamscapes Tell Tall Tales Flair.